Preservation of Community Assets: Blogger Candidate Forum: What Is A Sanctuary City? Blogger Candidate Forum: What Is A Sanctuary City? Time once again for the latest installment of Blogger Candidate Forum, your weekly look inside Trump America. 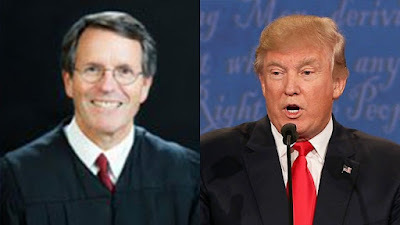 Yesterday Judge William H. Orrick sided with San Francisco and Santa Clara counties, "who argued that a threat to take away federal funds from cities that do not cooperate with some federal immigration enforcement could be unconstitutiona." (http://www.cnn.com: date accessed Apr. 26, 2017) This comes a month after a federal judge in Hawai'i issued a massive freeze on the current version of that ill-conceived ban hours before it was schedule to take effect. Needless to say POTUS tweeted his displeasure. However, what about those sanctuary cites? What are they and what are then; what should they be? "San Francisco: A Sanctuary City"
These are the questions that Tanvi Misra ponders in her CityLab article "Adapting "Sanctuary Cities' to the Trump Era." She wonders "If a city wants to offer meaningful protection to immigrants and non-citizens at risk of being deported, it may need to go further than what it takes to be called a sanctuary city." Let us take a step back for a minute and try to figure out the definition of sanctuary city. 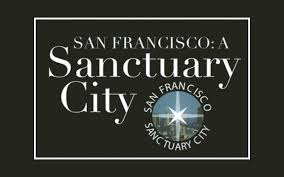 There is no single definition of what it means to be a sanctuary city...The term is often used to tarnish or celebrate-depending on the speaker-that cities, counties, and states have advanced policies to separate and distinguish themselves from federal immigration authorities. The vagueness of the term has little relevance for the legal case opposing the order: it just makes it harder to figure out which of the "300-plus so-called sanctuary jurisdictions are at risk of losing funds." Be that as it may, the divisive response to the phrase indications how loaded it has become. 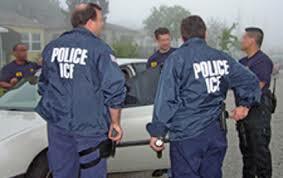 Opponents of immigration believe that sanctuary cities obstruct immigration enforcement and shield criminals from ICE. Immigration advocates describe them as places that opt to disentangle the local justice system from immigration enforcement-"a definition similar to that provided in the letter." The would be be popular with the locals...That would be a quick way to get voted out of office, like signing your political death warrant. 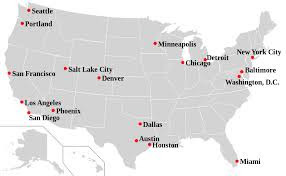 We've never declared ourself a sanctuary city; I still not sure what one is. Sanctuary city illicit strong reactions stemming from the Reagan-era movement, in which American congregations provided shelter to Central Americans denied asylum. In an aside Ms. Misra writes, "This 'sanctuary movement' is resurfacing today." As the wording implies, cities that fall into this category are literally sanctuaries. Or are they? No, they are not. A 2013 report by the Migration Policy Institute a non-partisan Washington D.C,-based think tank, found, "The U.S. spends more money on immigration enforcement than on all other federal criminal law enforcement agencies combined." (http://www.migrationpolicy.org; date accessed Apr. 26, 2017) During former-President Barack Obama's administration, the budget for Immigration and Customs Enforcement grew. Thus, ICE have ample resources at their disposal to round up people, rightly or wrongly, regardless of what city they live. This is precisely what they have been doing under previous and current administration. Now, POTUS intends to triple the number of ICE officers and hire 5,000 additional border patrol agents. In order make this happen "the government is planning to loosen hiring standards, according to an internal memo obtain by Foreign Policy. Sanctuary cities make the argument that "they want to prioritize by opting out of the programs that require their police to actively help ICE or do its job." Therefore, the jurisdictions decline to sign agreements with ICE to allow the use of local jails for immigrant detention, opt out of the 287(g) program, "which deputizes local polices and detention officers with immigration enforcement, and refuse ICE's requests to hold people they think are deportable for extra periods of time in jail." All of these programs have been singled out for exacerbating racial profiling and abuses of immigrant populations, encountering legal battles. During the previous administration, serious criminals were prioritized for deportation, however, ICE typically went after individuals who were convicted for minor or no crimes whatsoever through some of these programs. 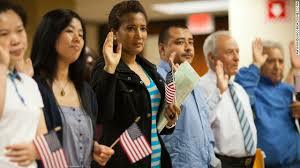 Sometimes American citizens and permanent residents are places in detention. Thus, it is understandable that many of these cities would also avoid these programs for liability reasons. If cities really want to protect immigrants, they must also end the quota-driven style of policing that make immigrants the victims of unnecessary arrests and disproportionate punishment. Mijente (http://www.mijente.net), an immigrants's rights organization, has called on sympathetic mayor to expand sanctuary. They suggest reducing the penalties for minor offenses, deleting gang databases (considered inaccurate and racially biased), and giving access to legal representation to all immigrant in danger of deportation. 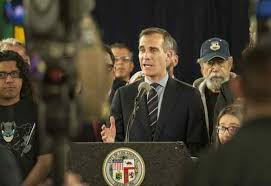 Back in Los Angeles, Leighton Akio Woodhous of the The Intercept reported "the mayor's office has not yet clarified whether folks with felony records would be allowed to access counsel using recently announced legal funds." (http://www.theintercept.com; date accessed Apr. 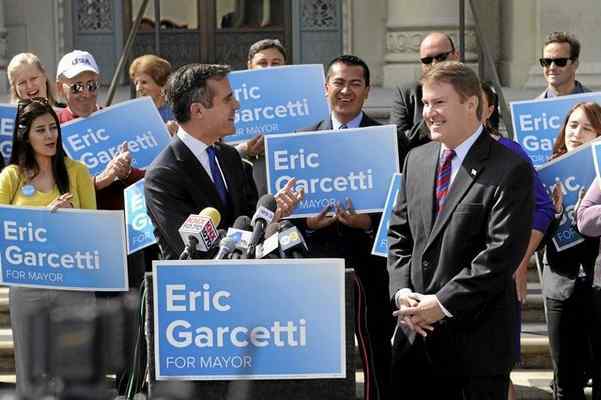 26, 2017) In the interim, Mayor Eric Garcetti's hesitancy to use the term "sanctuary city," though completely understandable, has frustrated advocates. 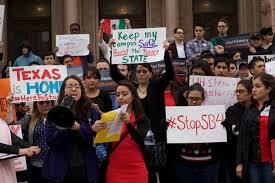 Hector Villager, the executive director of the Southern California American Civil Liberties Union, told Mr. Woodhouse. I would hope that for a city as terrified as it now, that he would just say sanctuary city...That's the language people understand; that's what would give comfort at this moment. Minus any genius practical application of the phrase "sanctuary city" this refusal is to say the words and accept its symbolism appears twice as cruel.